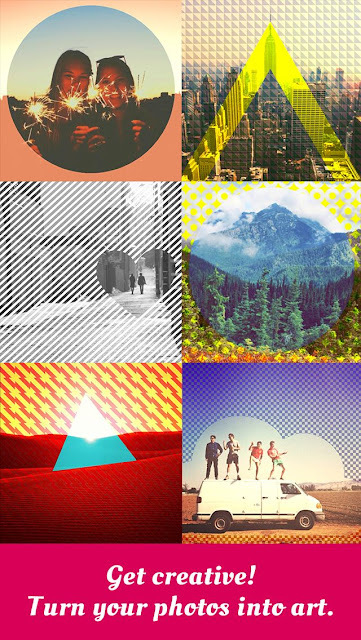 Home › Uncategorized › Photo Candy App Released Today For iPhone! Photo Candy App Released Today For iPhone! DNA is proud to release Photo Candy today. 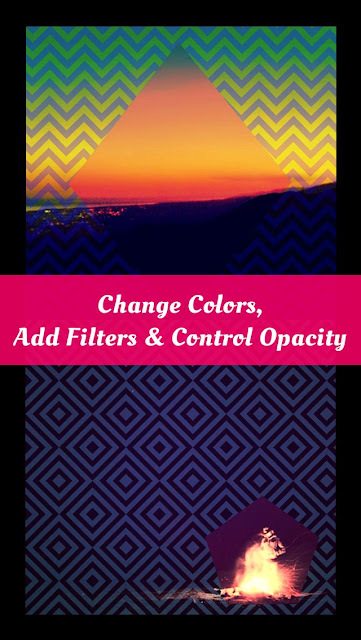 A brand new photo effects app that lets you take your creativity to the next level. Photo Candy is available for iPhone and all iOS devices. Download it now from the App Store. Photocandy provides infinite opportunities to transform your photos into amazing works of art that can be shared and enjoyed with all your friends and family. Experience a brand new way to edit your photos. 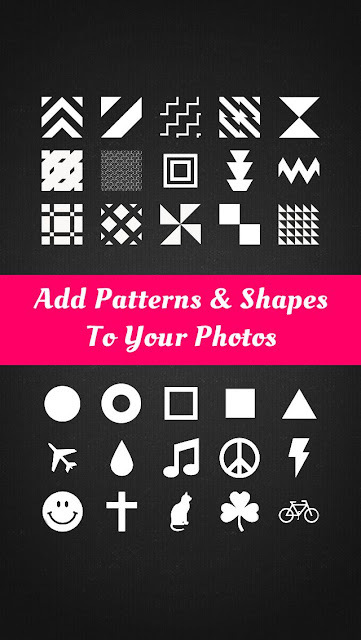 PhotoCandy allows you to easily crop, add filters, change colors, add pattern overlays, and mask out shapes to create unique one of the kind photos! With over 30 patterns & shapes built in the possibilities are endless. 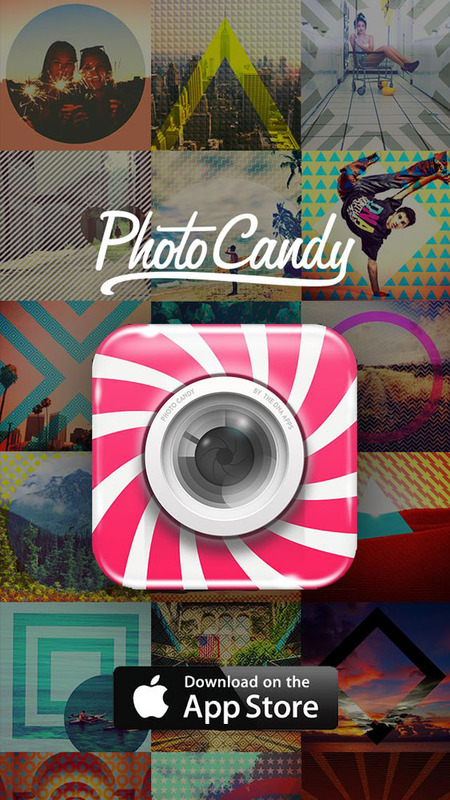 Push your creativity to the next level with Photo Candy! Simply snap a shot or upload a photo from your Camera Roll and then let your imagination take over. Select from a multitude of patterns, shapes, filters, and colors to mix and match for the perfect photo effect! 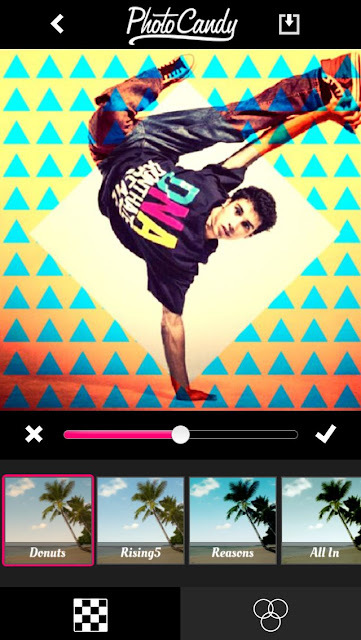 Once applied to the photo you can drag, resize, rotate and zoom, add colors, adjust opacity to your hearts content. When your all done, share instantly with friends or continue adding more layers by tapping “Add New Layer”. It’s that easy. After your done upload to instagram or twitter & tag your photos #photocandy to connect with the entire photo candy community. Click here to download Photo Candy from the App Store. Want to learn more about how to use Photo Candy? Check out 10 Creative Ways to make your photo stand out from the rest right here.